This 100% merino wool base layer provides the most bang for your buck! The WoolX Hannah balances performance and price as the highest value merino wool contender tested! Featuring 230-g of 100% Merino wool that is touchably soft, you'll want to wear this shirt every day. The fit works well for a diversity of body types because the material stretches and conforms to every curve of the body. The longer arms and torso provide great coverage locking in warmth. It also doesn't stretch out or shrink with use. When testing in Northern Ontario during the polar vortex, temperatures plummeted to the double negatives. We wore this as our base layer under just a jacket, and we found ourselves staying warm while taking a hike on a frozen over lake. As a result, it's one of the warmest base layers tested that breathes as well. So if you seek a Merino wool layer that performs well for a low price of just $79, be sure to check out the WoolX Hannah. The WoolX Hannah is the best valued Merino wool base layer tested. Versatile and fit for active or standing use, it provides a wide range of thermoregulation that will keep you comfortable throughout your next adventure. Build a snowman, go running, or take a hike in this super versatile layer throughout the year. A look at the length of the Hannah, a great Merino wool option for those with longer arms and/or torso. Utilizing 230-g of Merino Wool, the Hannah is one of the warmest base layers in this review. In comparison to other synthetics, it thermoregulates better through a wide range of temperatures, keeping us comfortable in temperatures reaching up 70 degrees and dipping down into the double negative digits. This Merino wool contender is soft, cozy, and warm! Like all Merino wool contenders, its breathability is quite nice! We took this shirt running in conditions that varied from warm to cold. In all conditions, it wicked away moisture effectively keeping us comfortable and dry…even when stopped. Truly take this top anywhere…it won't need to air out even in your sweatiest endeavors. This is one of the most comfortable and well-fitted shirts in this review! Constructed of soft 100% Merino wool fibers, our testers love its super cozy fabric fibers that feel comfortable next to the skin. The fabric isn't itchy and it stretches to provide a great fit for all body types. The size is true to fit and the torso and arm length is ample, allowing you to reach overhead without the fabric slipping to expose any skin. The fabrics are also thick, so you can wear it all day comfortably without a care in the world. Grab a cup of tea and curl up with your favorite book on a cold, rainy afternoon. A look at the fit of this basic Merino wool base layer. With a grabbier face fabric that stretches, but doesn't hug the skin like other competitors, we found this shirt a little hard to layer under tight mid-layers. Being a little thicker, when paired with another material that is fleecy or soft, it sometimes bunches up and even rides up. However, under a slippery mid layer it performs just fine. The additional torso and arm length are helpful to hold onto when pulling on another layer. The stretchiness of the fabric enables you to wear a lightweight tee or tank underneath as well. Layering the Hannah is a little harder than other synthetic competitors because of its stickier face fabrics. That said, we enjoy the long arms that allow us to pull them through the mid layer. This 100% Merino Wool top does a good job of wicking and drying on the trail. Like other Merino wool contenders, it absorbs some water at first, but the fabric does a great job drying out. In our dryer test, it took an average of 90 minutes to dry out, similar to other Merino wool contenders. In addition, during our field tests where we busted our butts going uphill to build a sweat, the fabric wicked away moisture to keep us dry. The fabric itself didn't retain this moisture, evaporating readily. Overall, it's a great option for wet or humid conditions. It also functions well in dry weather. It's not a surprise that this Merino wool contender is not the most durable in this review. The fabric, like other wool contenders, snags and can rip if you're not careful. Throughout our testing period, we also noted a couple of minor stitching fly-aways and pilling after washing. 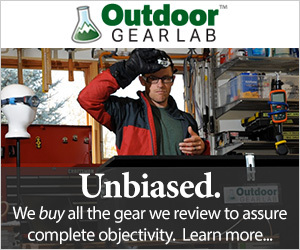 But, this is us being super critical as outdoor gear testers. This Merino wool contender is not as durable as synthetics, but it sure did hold up in our testing period. After our three month testing period, no serious wear and tear was noted even after wearing a backpack (and no other layers) while skiing and hiking through the backcountry. Overall, there are no serious durability issues and it performs as any Merino wool shirt should. While the stitching is great and there are no holes after our testing period. That said, we did observe a little pilling after use and a few washes. Whether you're running a winter marathon or planning an epic backpacking adventure, the WoolX Hannah will keep you warm and cozy. Its wide range of thermoregulation is great for just about anything. Just avoid it for wear during high-friction activities like crack climbing or canyoneering as we're not sure if the fabric will hold up through all the squeezing and shimmying. Take this layer on your next hike, ski, camping trip, or any outdoor adventure! As a high-performing product with a price tag of just $79, this Merino wool option provides the best value of any other Merino base layer in this review. This high-value 100% Merino wool midweight base layer is highly versatile and perfect for any outdoor endeavor. Layer it or wear it on its own for all-day comfort. We especially love its low comparative price tag! Amazon $54.60 - 26% off!